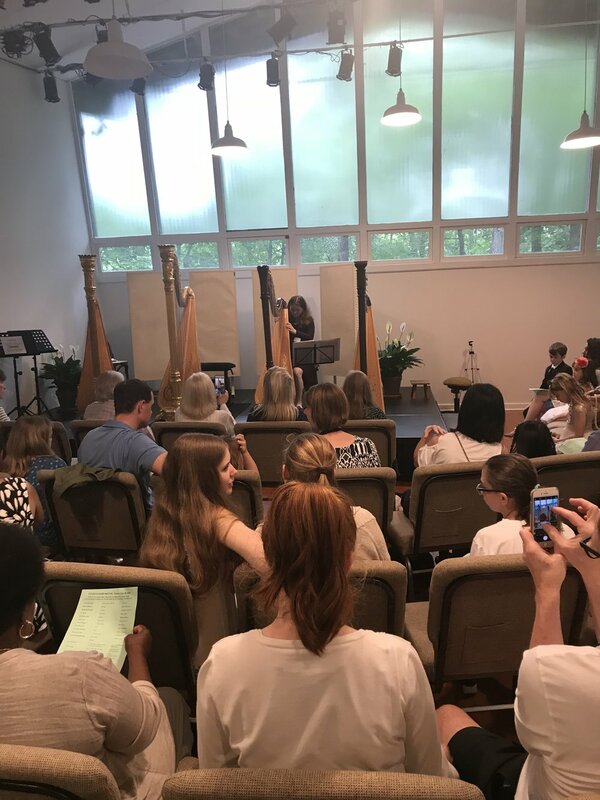 It was delightful to host the young and talented harpists of the Connecticut Chapter of the American Harp Society, along with their family and friends at the Treetops Performance Center. Founded in 1962, the American Harp Society has been an advocate of excellence. Their mission statement, "To celebrate our legacy, inspire excellence, and empower the next generation of harpists." is a philosophy celebrated by Music in the Woods. This non profit hopes to be an oasis of inspiration for all instrumentalists.